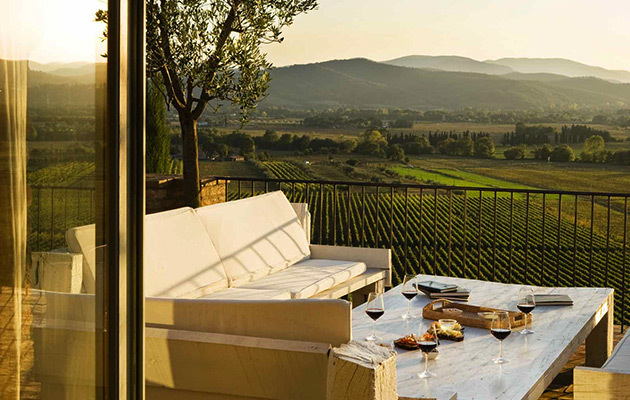 As well as being famous for its beautiful landscape, historically significant cities and impressive selection of world-famous wines, Tuscany is also renowned for its delicious cuisine. 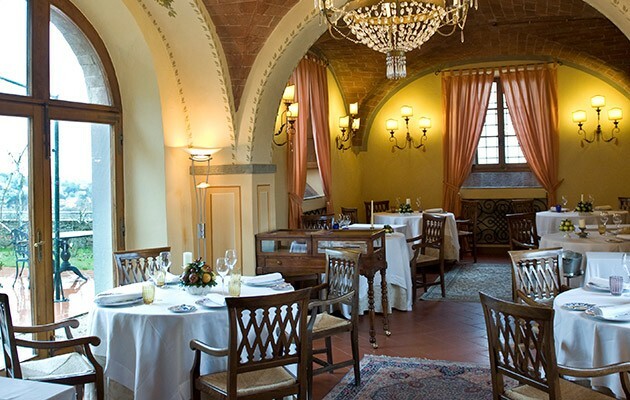 It’s fair to say that in Tuscany, like the rest of Italy, si mangia bene – you eat well. 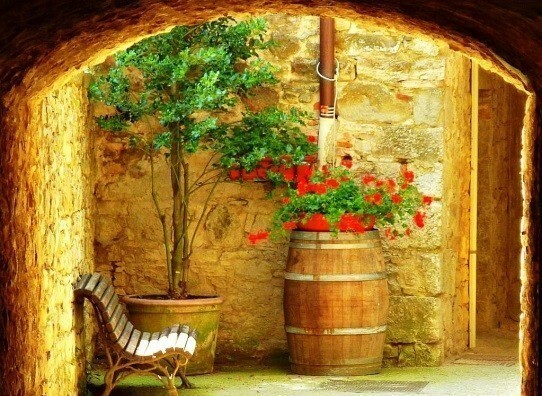 Tuscan food is typically very fresh, full of depth and simply bursting with flavour. From chicken liver crostini to tasty extra virgin olive oil, Pecorino cheese to hearty bean and vegetable soups; there’s something to tempt you here in Tuscany. 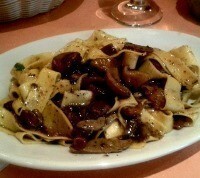 If you are a pasta fan, try the typical Tuscan pasta pappardelle; made using eggs and delicious served with local mushrooms. Vegetarians will be at home here too, as Tuscan cooking puts locally grown produce to good use in soups and stews. And for those with a sweet tooth? 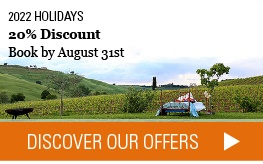 Dip some crunchy cantucci biscuits into a glass of Tuscan dessert wine…there are plenty of these wines to choose from! A fundamental part of any region’s cuisine is, of course, its bread. In Tuscany, bread is somewhat particular, in that it is missing one seemingly vital ingredient: salt! Pane Toscano is traditionally saltless, and it has been this way for a very long time. While it is sometimes said that the bread is this way because there used to be heavy taxes on salt in the past, it is more widely believed that it doesn’t contain salt due to the fact that a great number of Tuscan dishes are highly seasoned. The bread serves to ‘balance out’ all of these strongly flavoured foods,which include strong cheeses and salty cured meats. Talking of cheese, one of Tuscany’s most famous is Pecorino; a firm cheese made from ewe’s milk. On a visit to the town of Pienza, be sure to browse the many local-produce shops and sample some of this delicious cheese. Tuscans are often named ‘mangia fagiolo’ or ‘bean eaters’. There is widespread use of locally grown beans in this region, and they are often cooked until they reach a nice, creamy consistency. 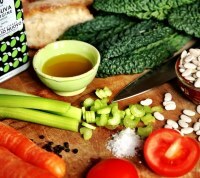 Beans are also used in the famous ribollita; a very traditional and very hearty bean a vegetable soup. 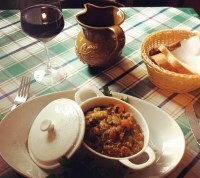 Mostly eaten in the colder months, it is made using Tuscan bread and as the name of the dish states, it is ‘reboiled’. 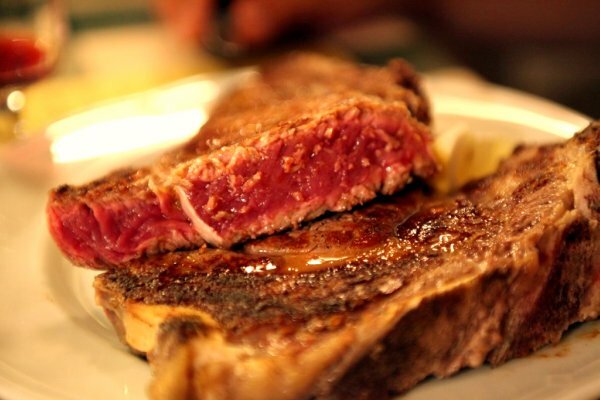 From lots of tasty veggies to a nice big chunk of meat; Tuscany, especially the city of Florence, is also renowned for its bistecca alla fiorentina. There are strict rules when preparing this dish: the steak must come from Chianina or Maremma cattle, it should be 4-6cm thick and must only be seasoned at the end of the cooking process. Oh yes, and it will be served very, very rare. Many restaurants in Florence often display these impressive T-bone steaks in the restaurant windows, in order to entice people in and offer them a delicious, yet very filling eating experience! Wherever you are in Tuscany, be sure to sample some local delicacies; washed down with a nice glass of Chianti of course!